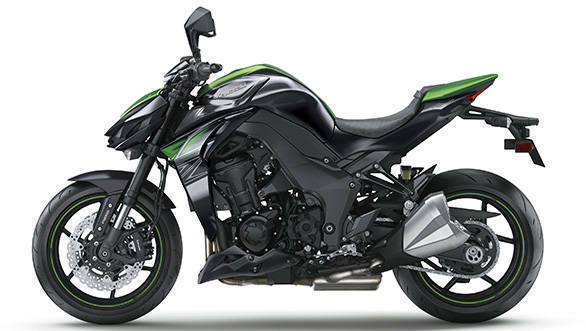 Less than a month after the first wave of motorcycles from India Kawasaki Motors comes yet another launch from the Japanese manufacturer - two motorcycles from their Z series of motorcycles. First off we have the 2017 version of the Z1000 in two flavours - a standard updated motor along with an 'R' version of the street focused motorcycle. Also announced was the Z250 which features no changes and has only been tuned to meet BS-IV emission norms. The 2017 Kawasaki Z1000 is priced at Rs 14.49 lakh, the Z1000R is a lakh more expensive at Rs 15.49 lakh and the Z250 will cost Rs 3.09 lakh. All prices are ex-Delhi figures. For 2017 Kawasaki have focused on improvements that make an already user friendly motorcycle cushier for our bumpy roads. The front suspension has been tweaked for a plusher ride and the rear linkage has also been changed to increase travel by 13mm that Kawasaki says improves feeling at the rear wheel. The brake pads compounds have also been changed in the aid of more 'feeling' while braking and the right lever is now adjustable for reach as well. The mirrors now have a greater range of adjustability so lanky riders shouldn't have a problem seeing around their elbows. The instrument cluster has also received an update and now feature a gear position indicator and a shift light. The only change to the 1043cc in-line four is an ECU update to comply with the new Euro IV emission regulations. Power and torque figures of 143PS and 111Nm remain unchanged. The new Z1000 R edition features all the changes that the standard motorcycle does (clocks, brake lever, ECU update, mirrors, etc) and adds a fully adjustable Ohlins shock at the rear. The front forks remain the same Showa units as on the standard motorcycle but Kawasaki has changed the state of tune to match the Ohlins unit. Braking also takes a huge leap forward with Brembo radial, four pot, monobloc callipers gripping two semi floating 310mm discs up front. Considering that this configuration is similar to the setup on the H2R, you can expect some serious stopping power. The premium of just a lakh for these two updates alone seems like a fair price for the R edition. 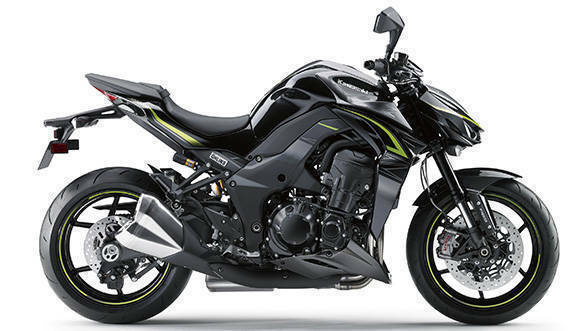 The pricing though ensures that the all new Z900 (Rs 9 lakh) will be quite an attractive prospect as well. 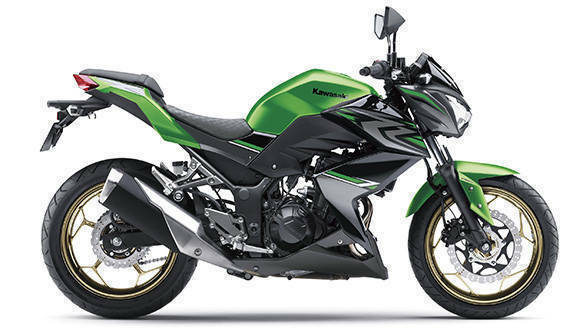 This launch now completes the quite comprehensive Z range of street focused motorcycles from the Kawasaki stable. There seems to be something in there for everyone with five motorcycles covering 250cc to 1043cc.